Imagine for a minute you are going down an old country road with its twists and turns and in the distance you see an old barn. What goes through your mind? I will tell you what goes through mine. I wonder what type of barn it is. Is it a tobacco barn, used to store and dry tobacco? Is it a livestock barn, used to shelter and house livestock? Is it used to store tractors and other implements? Barns were built to solve problems for the farmer and to serve a multitude of functions. There is a show on television called Barnyard Builders we have been watching. The premise is the restoration and re-purposing of old barns in America. They look at the way the barn was built, what kind of lumber, what type of notches. Every time I watch it, I can’t help but think of the barn at the Whitehead Homeplace. 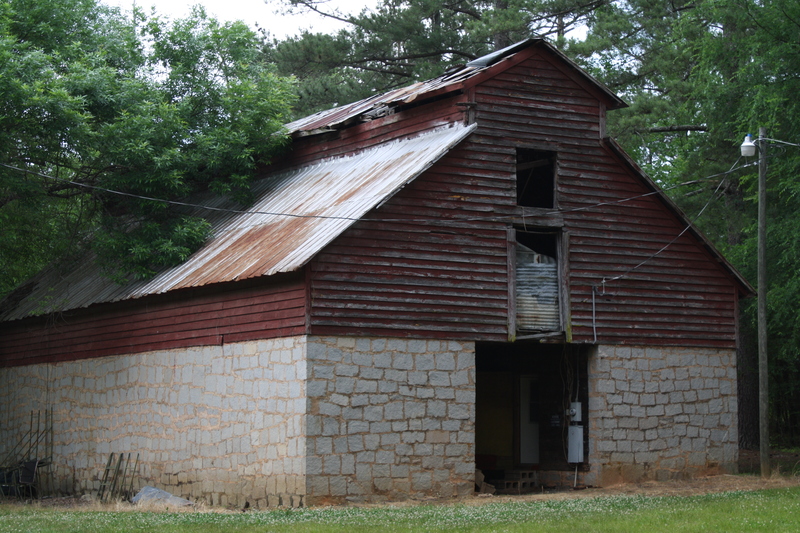 When I did the genealogical trip in May 2015, we did go see the barn. But since I hadn’t seen the show, I hadn’t really appreciated it as an artifact that it is. If I had, I would have taken more pictures. Maybe my cousin Sara will take some for me. The inside has been reconfigured by the hunters that lease the property. 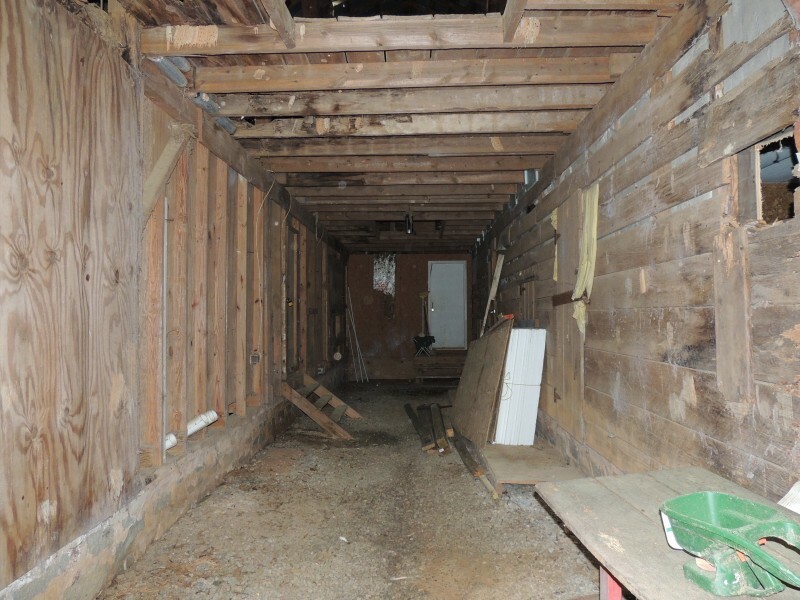 However, you can still see the original beams inside. 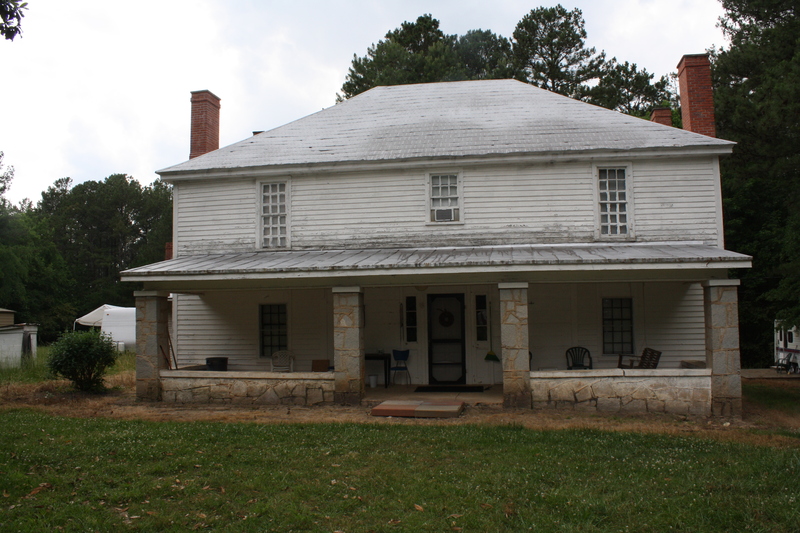 I am not sure when it was built, but I would have to imagine it was after the Civil War when he married Cena Ann and moved to the Home Place. The barn at the home place is made from large hand cut stone and wood. I believe it has a metal roof. Cousin Sara told me earlier they were going to put a new roof on it this year. The barn stored the horse and mules. It is a short walk from the homeplace. I just found George Wiley Whitehead’s Will online, and I now know the names of his live stock. In his last will and testament he directed that Viz and Beck his mules to be sold, as well as Sallie, a Sorrel mare and Belle a Bay mare. I think that our ancestors would be proud to know that this barn is still being cared for by the family some 150 years later. Thanks Sara!